The accounting industry is facing new threats: Not only will they lose 75% of CPAs in the next fifteen years, but technology is eliminating much of the traditional accounting work. 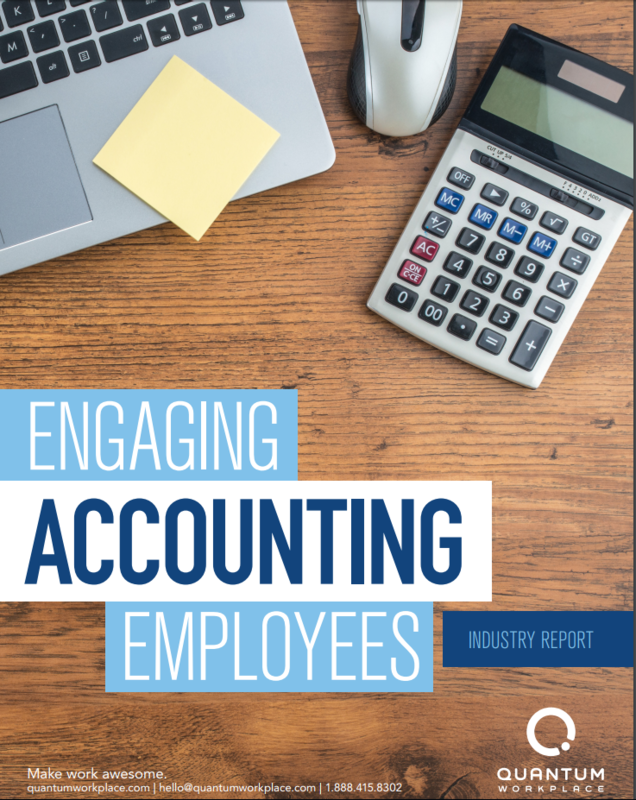 The accounting industry will see many major changes in the next years, and only the prepared organizations with an engaged employee base will be able to weather the storm. Looking at new research by Quantum Workplace, this executive analysis dives into the market trends challenging accounting firms and what can be done to meet those challenges head on.